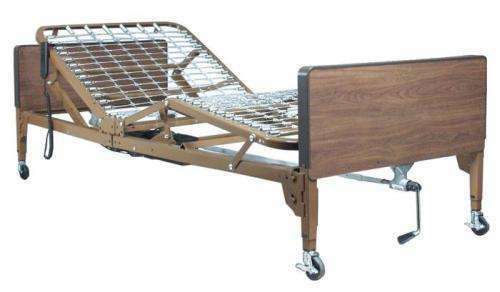 An outstanding feature of the Span-America Homecare product series is our ability to supply three of our popular PressureGuard® mattress systems in king, queen, full, full long or dual (split) king sizes to accommodate users who are not comfortable on standard-sized mattresses. 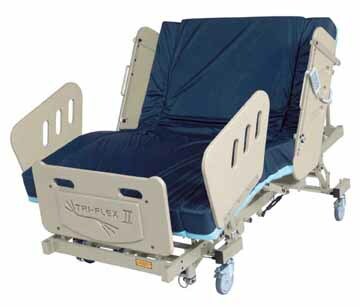 Designed for ease of use in the home-care setting, this series includes surfaces that can accommodate two adults. When supplied for two adults, half of the surface is outfitted to deliver dynamic air therapy while the remainder provides only static air support. Special In-home choices include these PressureGuard® surfaces – the APM², and CFT®. 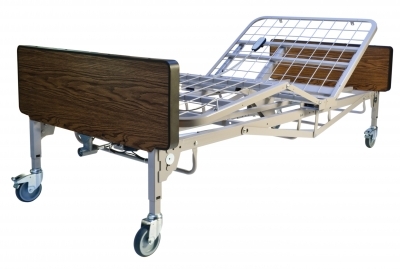 Many of our products in the seating and support surfaces categories are recognized under the Medicare program and coded for reimbursement. The PressureGuard® APM² offers two distinct therapy modes – alternating pressure and lateral rotation – at the click of a switch. 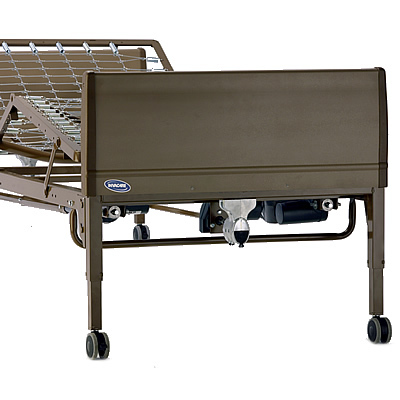 Real value is added with the PressureGuard® comfort and safety features including the proprietary Geo-Matt® anti-shearing top surface and two-part Safety Edge™ bolster system for fall prevention. 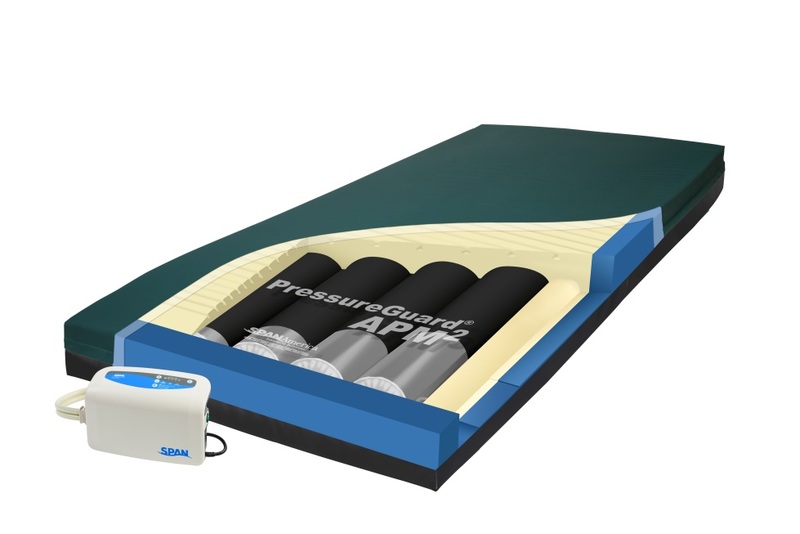 The PressureGuard® Easy Air™is independently documented to outperform every other low-air- loss-system. 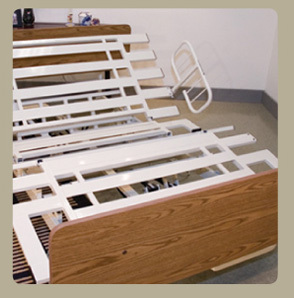 Clinicians choose low-air-loss therapy to address maceration, the weakening of the skin due to excess moisture. Two additional models expand the Easy Air series; the Easy Air LR adds lateral rotation making documented effective continuous lateral rotation therapy (CLRT) possible. 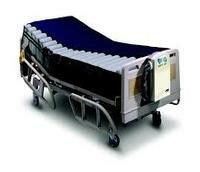 Easy Air XL 1000 provides low-air-loss and alternating pressure therapies for the Bariatric Patient up to 1000 lbs. The Easy Air is not limited by the compromises low-air-loss users have come to accept. The outstanding features that distinguish the Easy air include its exclusive Air Diffusion Matrix, PressureGuard air/foam design and its Safety Edge™ which won't collapse like air-only mattresses can. 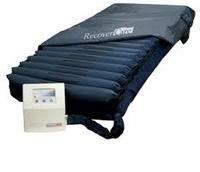 In addition to low-air-loss, the efficient control unit also powers relieving alternating pressure therapy. 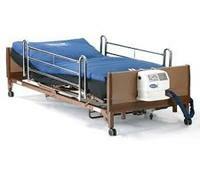 Like many of our products, the Easy Air is recognized for reimbursement under Medicare Code. 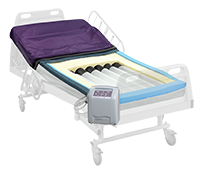 The Geo-Mattress® HC is specifically designed for the needs of the at-home patient to minimize the risk of skin breakdown. 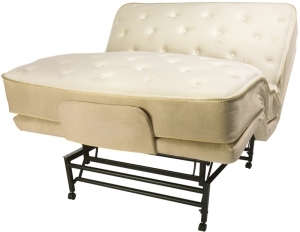 Easily folded and boxed for convenient shipping and storage, this therapeutic mattress, with 250 lbs. capacity, features a segmented top surface, 5" height, and fluid-proof cover. 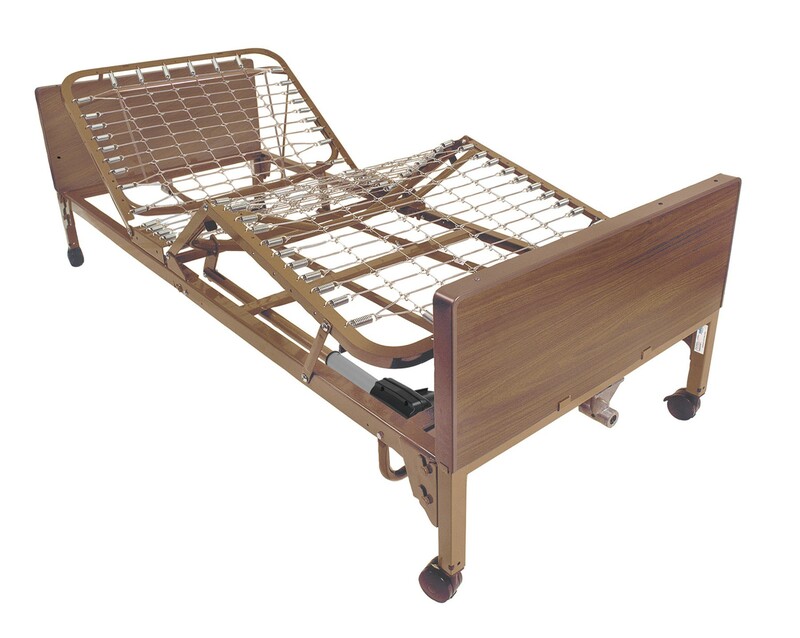 For non-powered home care of heavier patients, see our 6” Geo-Mattress® 350. 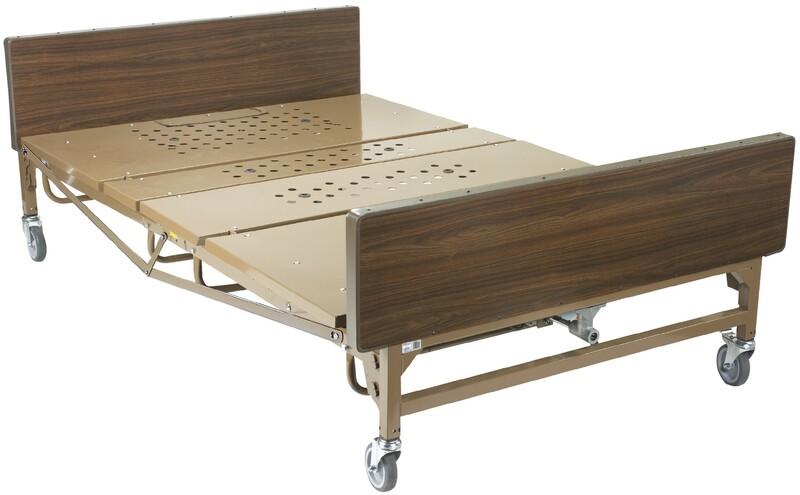 80"L x 36"W 7" 9" 11"
Span-America offers three clinically proven support surfaces for users up to 1000 lbs. 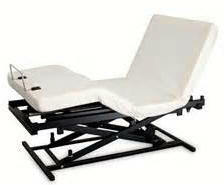 See the Bariatric catalog page for all four products. 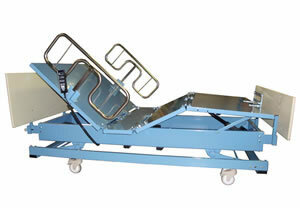 Unique features on PressureGuard products meet the special needs of the bariatric client. 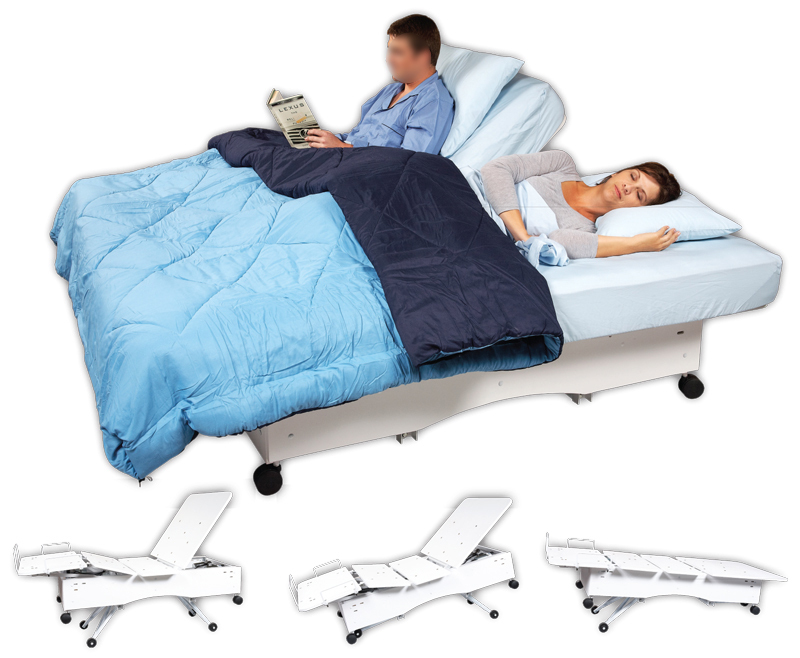 The Safety Edgeâ„¢ prevents the edge of the bed from collapsing under the user during transfers. 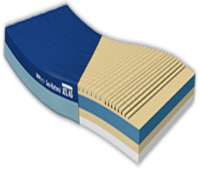 The Geo-MattÂ® segmented top surface limits friction and shearing, two key risk factors that increase when obesity impedes in-bed mobility and proper transfers. 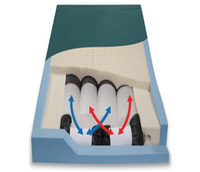 The PressureGuard Easy Air XL provides both low-air-loss and alternating pressure modalities in one surface. It also features alternating pressure changing the weight-bearing support across the surface in 10-minute cycles. 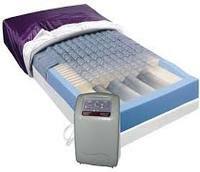 The PressureGuard APM digital control unit regulates alternating pressure air therapy. 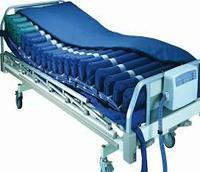 Six cylinders inflate/deflate in a four-up-two-down pattern to ensure maximum patient support throughout the cycle. 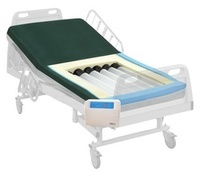 The PressureGuard CFT uses exclusive Constant Force Technologyâ„¢ to automatically adjust the mattress's network of interconnected air cylinders and elasticized reservoirs to the appropriate, therapeutic levels for each patient, regardless of their weight or position on the surface. 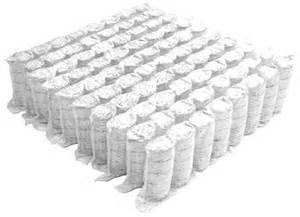 The GeoMattress Atlas offers three layers of progressively higher resiliency foam for pressure management and product longevity. 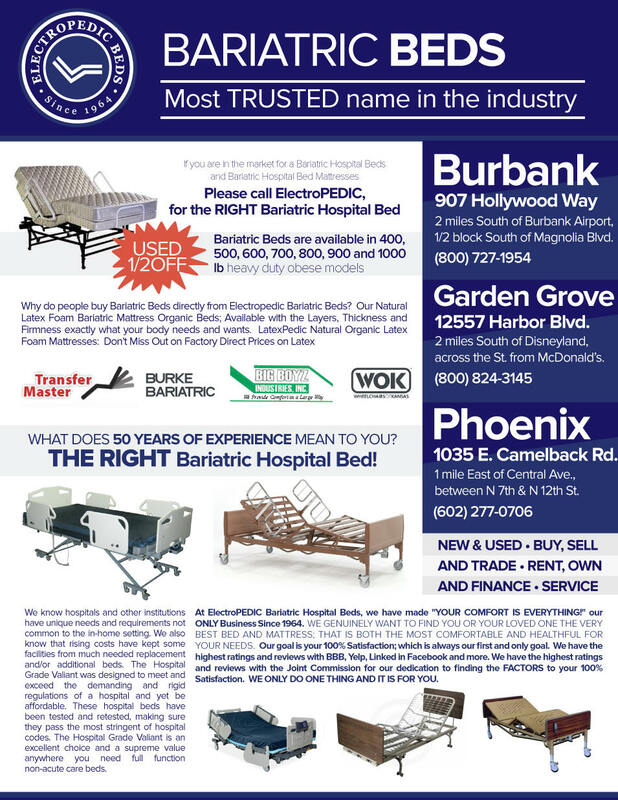 Sizes are found on the Bariatric catalog page. 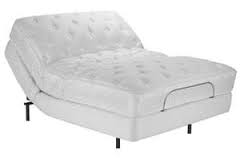 ✦Mattress weight: approx. 32 lbs. 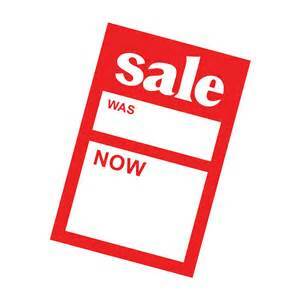 Your 100% Satisfaction is our only first and foremost goal! We only do one thing and it is for you!